"I'm not going to lie, you do feel good, especially when it's a massive club." Newspaper reports on Wednesday suggested Arsenal are plotting a summer move for the Scotland international as Unai Emery looks to bolster his options with a winger. Fraser, 25, admits being flattered by the interest but insists his focus remains on performing for Bournemouth. "I'm not going to lie, it's very nice. It means you are are doing something right," he told Sky Sports News. "They are a huge club, a massive club. When you see your name thrown around you always think to yourself that you are a Bournemouth player and you try to do well. Fraser, who is enjoying the best season of his career thus far, says he will not take on any extra pressure by changing his game to impress potential suitors in the final six games of the season. "No, not really. If you think like that I'll probably have one [a bad game] at the weekend, my passing will be miles off," he added. Only Eden Hazard (11) has registered more Premier League assists than Ryan Fraser so far this season. "I will just keep doing what I am doing, try to enjoy myself and try to win the game for my team. "What will be, will be." 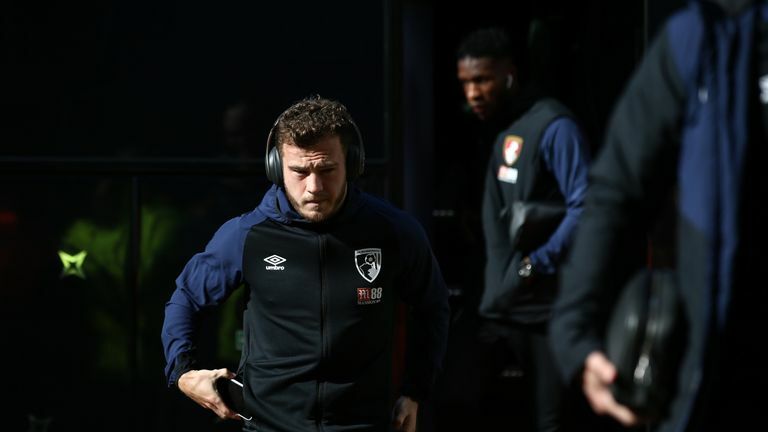 Fraser remains focused on helping Bournemouth make history during the remainder of the season. While a highest-ever seventh-placed finish may be optimistic, the Scot believes a record points haul is within their grasp. Eddie Howe's side, currently on 38 points, need only nine points from their final six games to beat their record of 46 points from the 2016/17 campaign. He said: "The gaffer here has got us playing some great football. Obviously our away form has not been great but, I think, if we can win the majority of our last six games then there is a good chance that we can create something the club has never done before. "Seventh is going to be difficult after Wolves winning the other night and Leicester beating us, but if we can beat our highest-ever points total, which is massively doable, it's another one in the history books."